Excellent whitefishNot so much the pesto pasta, but the me...I had the biscuits and gravy and it was...We looked at the menu and there was a delicious Portabello mushroom pasta. 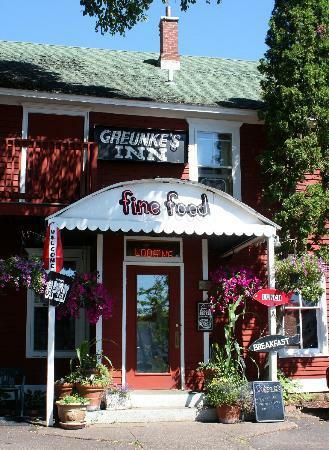 Located in the heart of Bayfield, Greunke's has been serving food to locals and visitors alike since 1940. 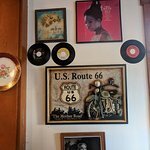 Our fun, funky, and eclectic décor sparks memories for all generations and we are family friendly! Our fabulous staff makes your experience even more memorable. 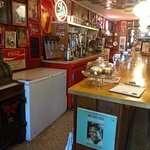 The menu offers a variety of burgers, sandwiches, salads, steak, pasta, and of course, FRESH fish from Lake Superior. 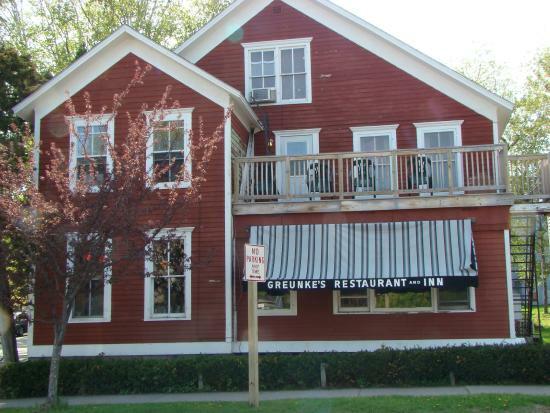 Be sure to try the "Greunke's Original"--Whitefish Livers! 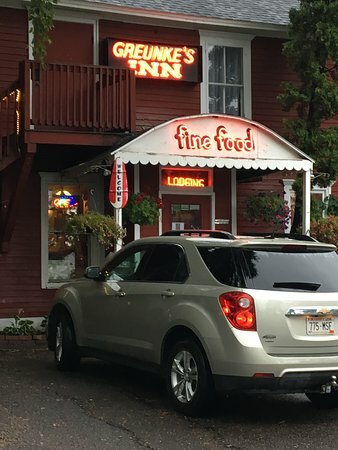 We went there for both Breakfast and Lunch....Delicious and the service was very friendly. Loved the atmosphere and the nostalgic decor! Fun Kitschy Decor, not a lot of variety on the menu. 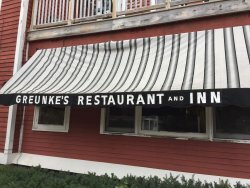 During the Bayfield Apple Festival, we stopped in at Greunke's for a late afternoon lunch. We had the Wild Rice Chicken Soup which according to my husband was the Best Soup he has had in his 50 year lifetime. The atmosphere is captivating and cozy. I ordered the meatloaf. I like onions but not to that extent. The only tase that came through was onion.My husband had whitefish and was disappointed with the mushy texture. We had to ask for our waitress several times, even to get the bill. The breakfast was excellent! There were 7 of us. 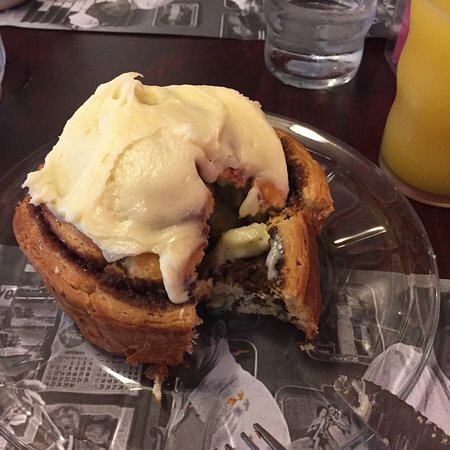 We all ate something different and everyone loved what they ordered. Four of us had breakfast on Labor day. Immediate seating and service from server. Very good eggs benedict. Others enjoyed their food just don't remember what they choose. Terrific memorabilia all over the walls. 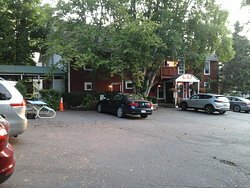 Small facility but lots of charm. Food was decent and the service was more than adequate. 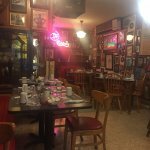 Lots of interesting "stuff" throughout the restaurant with heavy emphasis on Coke memorabilia. The menu lists past guests of interest some of which were more than noteworthy. 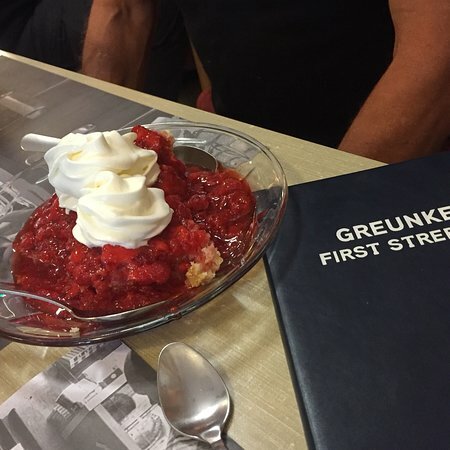 Get quick answers from Greunke's First Street Inn & Dining staff and past visitors.